Aquarius 1 building – 1199 Marinaside Cr, Vancouver, BC, V6Z 2Y2. 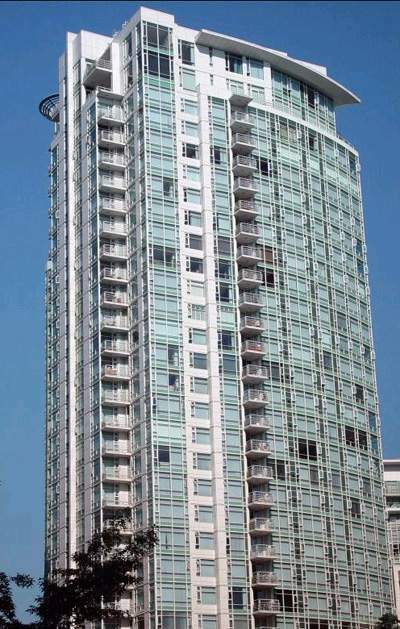 Aquarius 1 is a waterfront apartment building constructed by Concord Pacific in 1999. The Aquarius condo development in building 1 includes 189 waterfront condos on 38 floors. Aquarius 1 is directly across the street from the shores of North False Creek right on the seawall. Bathrooms with marble countertops and ensuites with oversized soaker tub and separate glass enclosed shower stall. Please fill in the form below for a FREE MARKET EVALUATION of your rental property or to learn more about our rental property management and tenant placement services.